If you travel with a Disabled Persons Concessionary Pass or a Disabled Persons Companion Pass, then changes from the 1st April 2019 will affect your Journey. 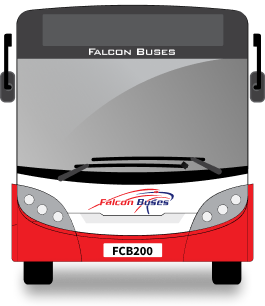 We are pleased to announce that we will start to operate another bus service, number 28 which runs from Woking to Guildford via St Johns, Knaphill, Brookwood, Pirbright, and Worplesdon. Keep the Home Fires Burning with Wind and Words is a recital of clarinet and poetry about The First World War. Woking Leisure Centre is hosting the 25th annual Woking Beer Festival in association with CAMRA this November. This spectacular annual event returns to Woking Park on Saturday 3rd November. On 23rd and 25th October, Chertsey Museum will be holding two children's activity days during half-term for six to twelve year olds. From Kingston to Addleston via Molesey, Walton, and Weybridge. From Hersham to Kingston via Field Common, Molesey, Thames Ditton, and Surbiton. From Addlestone to Kingston via Brooklands, Weybridge, Hersham, Esher, Thames Ditton and Surbiton. From Staines to Woking via Chertsey, Addlestone and West Byfleet. From Hersham to Walton’s Xcel Leisure Centre via Hersham Station, and Walton Town Centre. From Chobham to Woking via Mimbridge and Horsell.